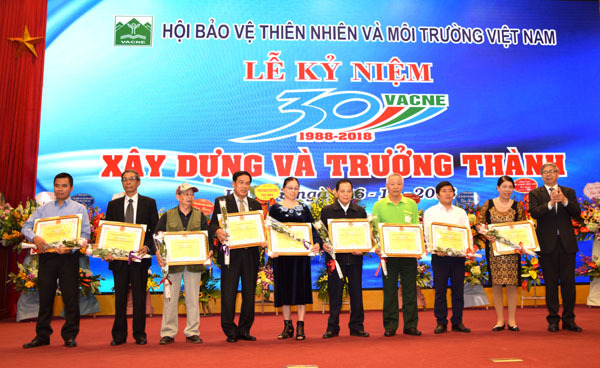 (VACNE) - On November 26th, 2018 in Hanoi, the Vietnam Association of Nature Protection and Solemnity celebrated 30 years of establishment and held the seventh congress. 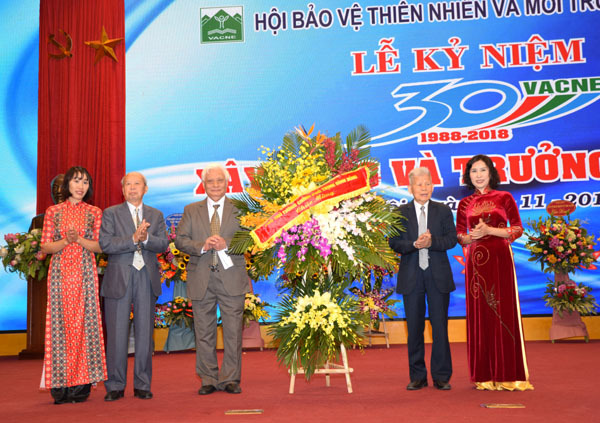 The ceremony was attended and presented flowers to congratulate by many elderly people, representatives of functional agencies, organizations, Deputy Prime Minister Trinh Dinh Dung and Minister of Natural Resources and Environment Tran Hong Ha. Attending this event, there are nearly 150 representatives of units operating in the field of environment, local associations and member units of the VACNE throughout the country, with representatives of mass media agencies. newspapers. After directly awarding certificates of merit to 9 units of the Association "have made excellent achievements in environmental activities" Prof. Dr. Dang Vu Minh, President of Vietnam Association of Science and Technology Association (VUSTA) highly appreciated the contributions of the Vietnam Association of Environment Protection for the society. According to the professor, this achievement and the prestige of the Association are increasingly advanced, supported by scientific and social respect, because VACNE is operating in a very simple truth because the community and the heart of the people. The great achievements that VUSTA has in recent years, the positive contribution of VACNE. 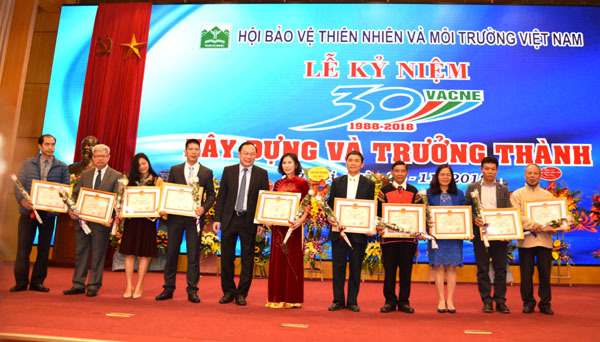 On behalf of the Ministry of Natural Resources and Environment, Deputy Minister of Natural Resources and Environment Le Cong Thanh highly appreciated the role of VACNE and the Ministry of Natural Resources and Environment. expressed hope to further strengthen the cohesion between the two sides. Particularly, the contribution of the association in the social consultative activities, the development of policy documents related to environmental resources. Delegates elected the Central Executive Committee VII, with 133 members. The Executive Board of VACNE this term, also agreed to elect Dr. Nguyen Ngoc Sinh to continue to hold the VACNE President for the term of 2018-2023. Attending and sending flower baskets to congratulate the Seventh Congress of VACNE also has a lot of former leaders of the State Committee of Science and Technology, Ministry of Science, Technology and Environment and representatives of some ministries, mass organizations in many regions in the country./.